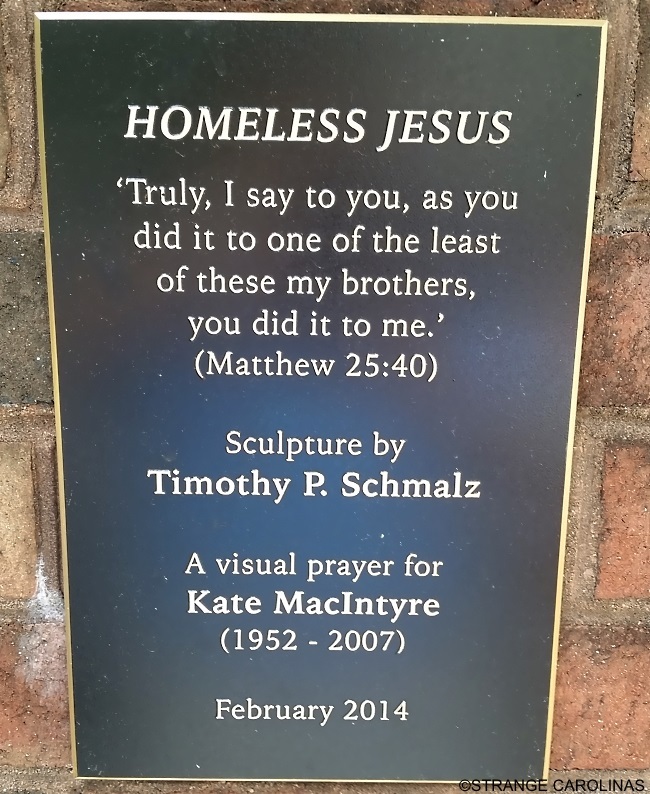 Davidson's Homeless Jesus, also known as Jesus the Homeless, was created by Canadian artist Timothy Schmalz. It depicts what appears to be a homeless man lying on a bench. It is only when one notices the stigmata on the man's feet that his true identity is revealed. 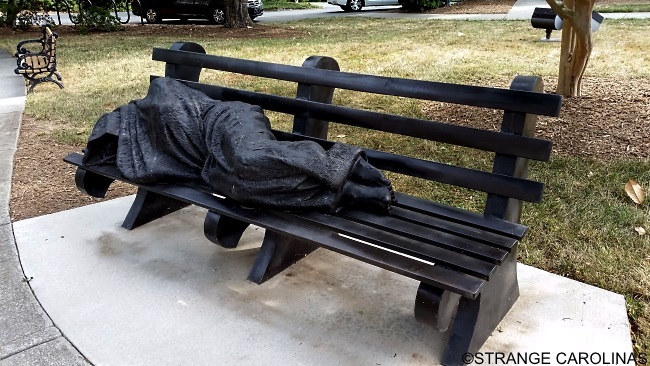 The original Homeless Jesus was installed in Toronto. The first United States installation was at St Alban's Episcopal Church in Davidson, followed by sculptures placed in Austin, Chicago, Detroit, Oklahoma City, and Valparaiso. The Davidson community didn't know what to make of their new neighbor. 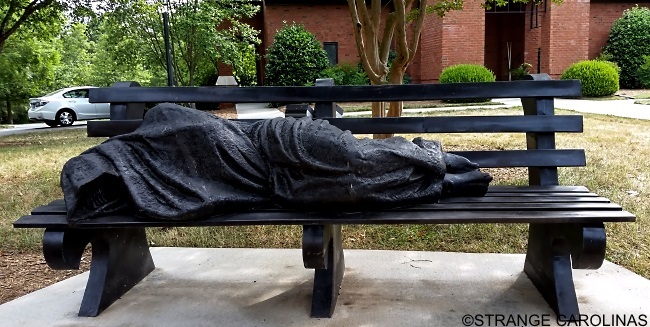 According to NPR, one man wrote a letter to the local newspaper claiming the Homeless Jesus "creeps him out" while a woman thought the statue was an actual homeless person and called the police to remove him.